An Opinion On Sports: Smokin' Joe Frazier: He'll Shock You & Amaze You! 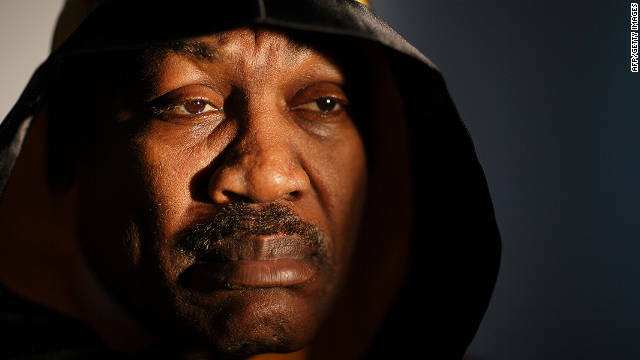 Joe Frazier, the boxing heavyweight, died of liver cancer yesterday. He finally met an adversary that he couldn't out punch. The unrelenting, steam engine of a fighter was 67 years old. Frazier, who won a gold medal for the United States in the 1964 Summer Olympic Games in Tokyo, will best be remembered professionally by his three epic bouts with Muhammad Ali, culminating with the famous "Thrilla in Manilla". The grass roots fighter with the heavy hands and the big heart was a two-time heavyweight champion. Godspeed Smokin' Joe!